Liahona Academy is one of many adolescent residential treatment facilities available. However, we provide specialized therapeutic assistance to teenage boys who require professional clinical support to make possible emotional and behavioral change and growth. 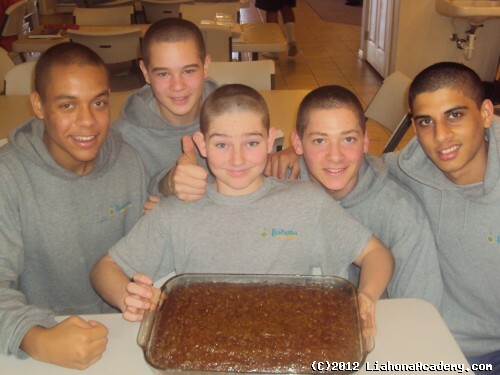 Liahona Academy offers hope and valuable resources to teenage boys seeking treatment for a whole range of issues. Our unique programs give troubled teens the opportunity for successful behavioral treatment. Please call Liahona Academy at 800-675-8101 to speak to our Admissions Specialist and learn of the options available. Adolescent residential treatment facilities serve to remove troubled teenagers from their current environment, and place them in a therapeutic, structured and supervised setting. RTC’s work with adolescents who are experiencing problems with specific issues, including self-esteem, chemical dependency, uncontrollable anger, depression, smoking, alcoholism, gang involvement, ADD/ADHD, eating disorders, behavioral issues, blatant disregard of rules and self-harm threats. They often include both individual and group counseling, social skills training, family support, vocational training, structured physical activities, education support, as well as substance abuse programs. Adolescent residential treatment facilities are an excellent choice for teenagers in need of intensive support to learn more appropriate methods of coping and behaving. Adolescent residential treatment facilities include environments that are home-based, as well as school settings or clinical settings. When parents are contemplating a residential treatment center, it is important to ensure your child's needs are compatible with the program's setting and format. Parents should thoroughly assess the benefits of the different approaches available. This can help to ensure the most effective treatment possible. Every child is different because they represent a unique assortment of talents, experiences and struggles. Adolescent residential treatment centers work to discover the abilities of each teen who has been held back by emotional battles. They also provide customized programs to meet each child’s special needs that changes as he grows and matures during treatment. Liahona Academy provides a standard of excellence in an environment of love and discipline where parents can feel assured with the well-being of their child. We have the capability to help your boy succeed. Please call Liahona Academy at 800-675-8101; we want to help.